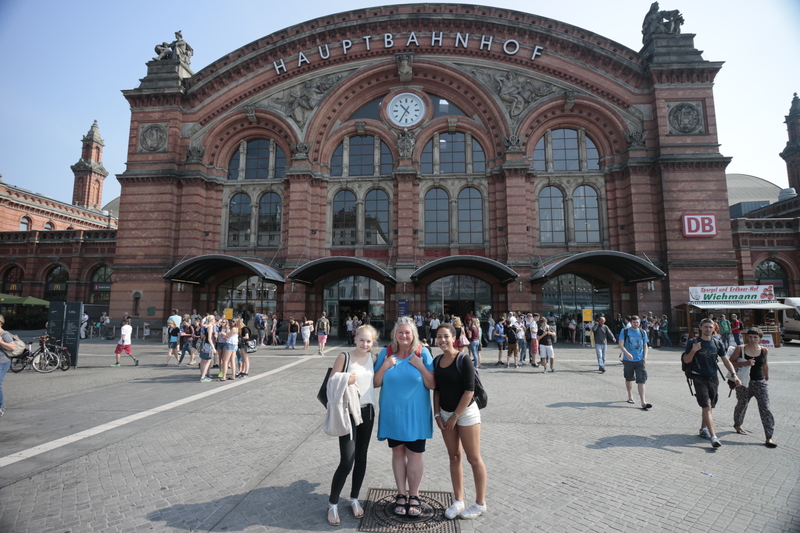 How we dug for victory..
Outside the train station in Bremen, Germany. For some reason these young students photo-bombed the photo!! The past week or so has been hectic but productive in the job seeking department and it looks like I have a third call back interview coming up soon for a forward thinking engineering firm. Today I am catching up with chores, paperwork and normal family life. In my mind I have got back on track with wanting to address my weight issues and realizing that life is short and I want Richard and I to be healthy enough to continue on our adventures on planet earth. 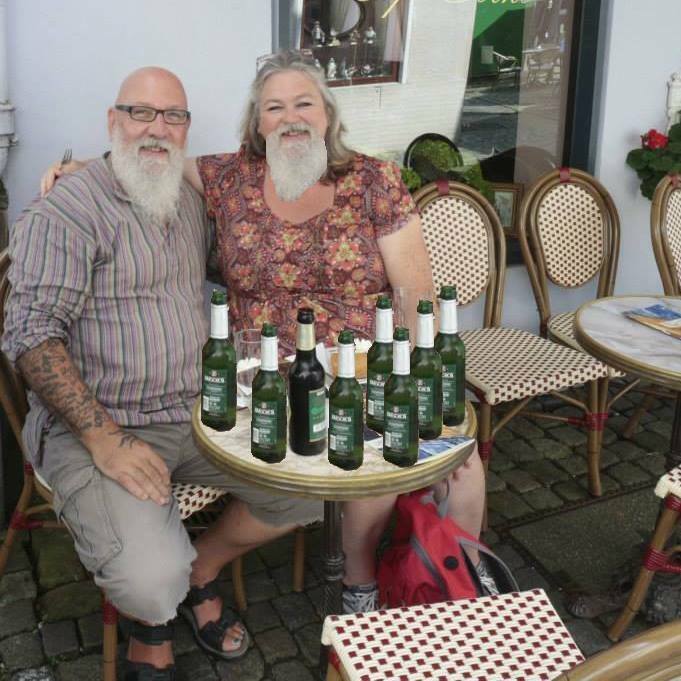 We had a wonderful weekend away in July in Bremen, Germany. 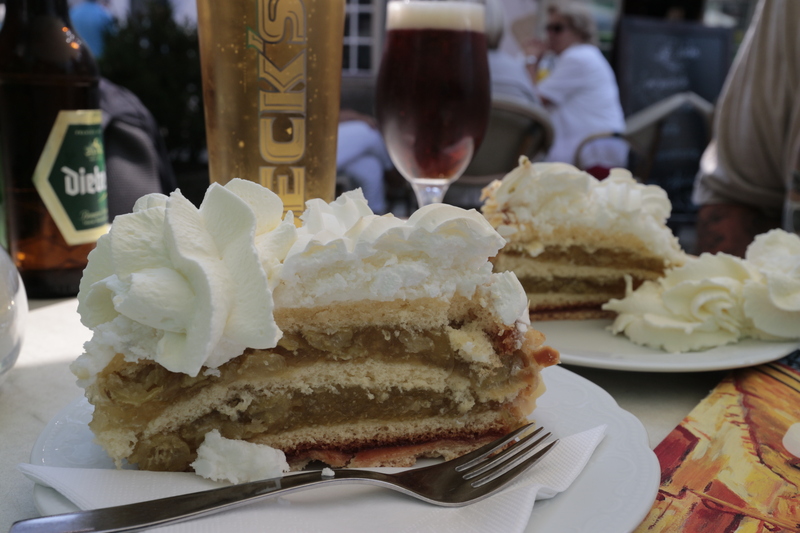 Beer and Gooseberry cake featured heavily…not so good for the waistline but totally delicious. I’m now back to the tried and tested 1940s food routine of porridge made with water for breakfast (I add some ground flax seed for Omega 3) and lunches are currently a hearty salad with seasonal raw veg, some kidney beans sprinkled over and a warm potato. Tonight I will look in my recipe books for a pie.. I really fancy a pie.